Tired of clicking nice photos only to be disappointed as soon as you start chatting? Then Teamo is for you! 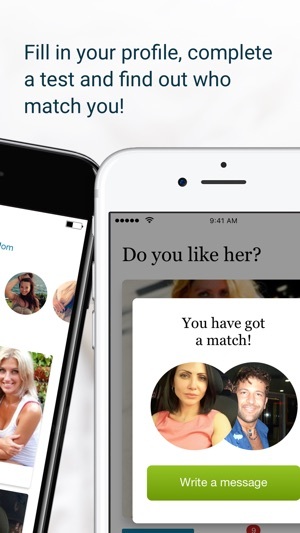 Find the relationships you’re looking for with Teamo’s psyhological matching technology. • Teamo allows you to choose partners based on 17 similarity and compatibility characteristics. • Join a community of more than 13 million men and women looking for serious relationships. 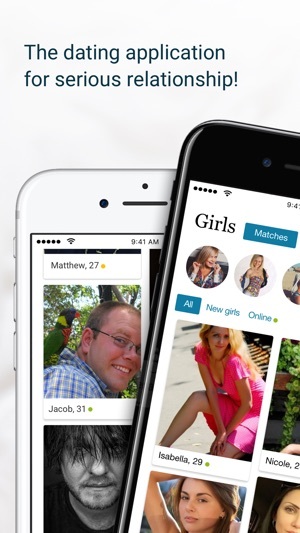 • Teamo has already helped over 300000 couples find their ideal partners! 1. Fill in basic information about yourself to narrow down the search: your city, relationship status, number of children, habits, religious preferences, and so on. 2. Tell Teamo the desired age of your partner. You can change your preferences at any time. 3. Complete our fast and fun test to discover your type based on our “7 radical” method. Teamo compares your results with millions of others to suggest potential matches based on your compatibility. 5. Now you are part of the Teamo community! You’ll instantly get suggestions of other members who meet your criteria and fit your compatibility profile. All you need to do is start chatting. • When comparing two potential partners, you can vote for the most appealing one. • Add people you like to your favorites list. • Search soulmates in your area, check out their profile, and send messages to your favorites. • Use our safe, anonymous chat to discuss the important questions before you get acquainted. Premium Account” subscription is optional and gives you advanced possibilities in the app for the chosen period of time: viewing all photos of the users; sending and reading all messages; seeing if your message has been read; viewing sections “Users who liked me” and “Users who added me to Favorites”; the list of online users; access to profiles from the sections “Matches”” and “Likes” before you got a mutual like. Depending on the chosen period your subscription will recur: weekly for $8.99 for 7 days; monthly for $29.99 per month; every 3 months for $49.99 per 3 months; every 6 months for $59.99 per 6 months. The subscription is auto-recurring. Payment will be charged from your iTunes account after you confirm the purchase. A trial free period is provided within 7 days since activation. If you don't deactivate the subscription within these 7 days, upon expiration of the trial period an automatic recurring monthly charge in the amount of $29.99 will be deducted from your account balance. Look who is nearby! All notifications are with photos! Thanks for all your recommendations and feedback! Очень хорошое преложения познакомилась с мужчиной и вышла замуж 👰!